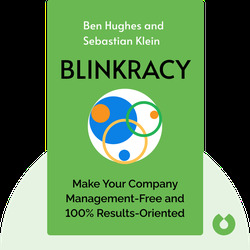 Blinkracy (2015) is all about an innovative organizational approach based on empowering employees and eliminating the need for managers. 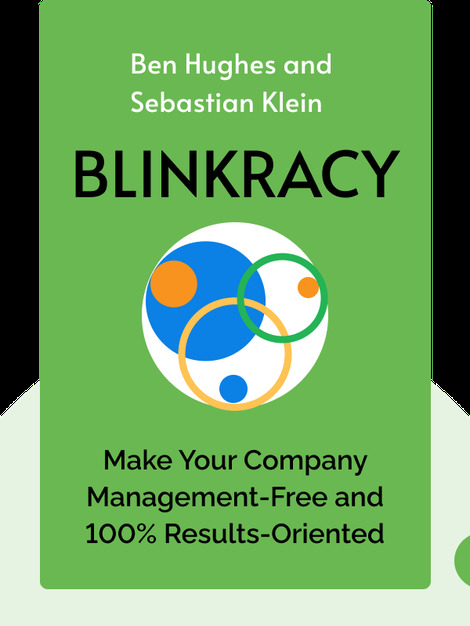 With insights from the Berlin-based startup Blinkist, which restructured its own workplace using this model, these blinks describe how you can implement it at your own firm. Sebastian Klein is co-founder of, and Editor-in-Chief at Blinkist. He was formerly a consultant to the Boston Consulting Group and a serial entrepreneur. He specializes in knife skills and once rode a bicycle across Kuala Lumpur with no handlebars. Ben Hughes is the Head of Content at Blinkist. He is a former management consultant, with expertise in corporate strategy and psychology. In 2013, Finland Licorice Weekly named him in their “Top 50” and he currently holds the record for most comments on a Google Doc, an incredible 439 comments on just three pages. Blinkist is a Berlin startup specializing in distilling complex concepts from great books into easy-to-understand fifteen-minute packs.